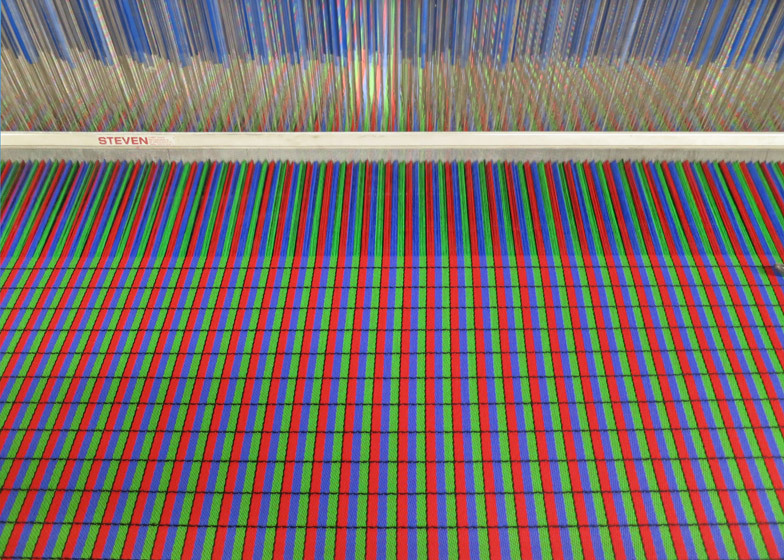 Dutch Design Week 2014: Dutch designer Lianne Polinder has created a textile based on the pixels of an LCD screen as part of her Design Academy Eindhoven graduation project (+ slideshow). Lianne Polinder's Technomimicry collection is made up of four graphic textiles developed with weaving studio Gaudium BV, designed to "explore the relationship between technology, ornament and function". "The use of digital and electrical devices and systems has become part of the fabric of our lives. Yet most technology is distant and alien to us," said the project statement at the Design Academy Eindhoven exhibition. Polinder's aim was to look at technology that is taken for granted from a different point of view. "Technology shapes our world and we become increasingly inseparable from it, while most of us consider ourselves outsiders with no say in the matter," said Polinder. "That does not seem right to me. If something is a major force in our lives, we should be able to 'touch it' rather than be at its mercy." Her first cloth features a pattern based on the arrangement of pixels that form pictures on LCD (liquid-crystal display) screens, like those used for flat-panel displays. The designer enlarged the composition and turned it into a woven graphic to create a wearable representation of the technology. 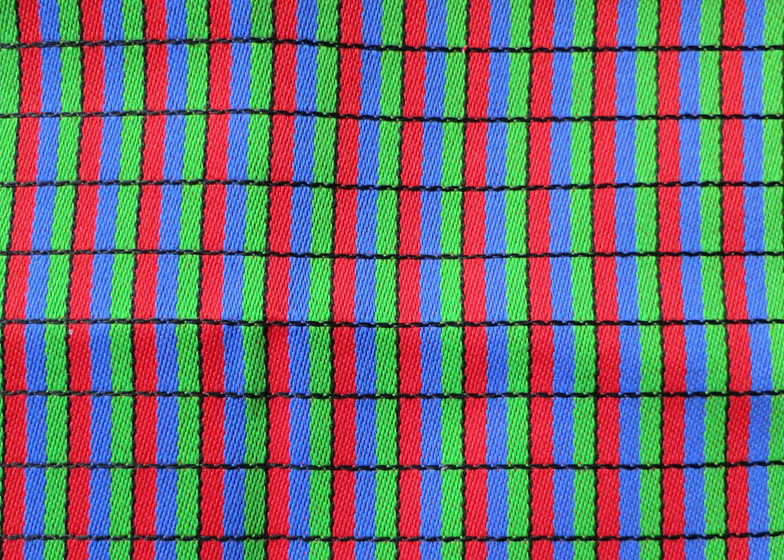 Stripes of red, blue and green – the colours that make up the RGB colour model used to create digital colour images – run vertically down the fabric, broken up by thin horizontal black lines. On an LCD screen, the brightness of these coloured elements within each pixel is altered to form the picture interpreted by the eye. 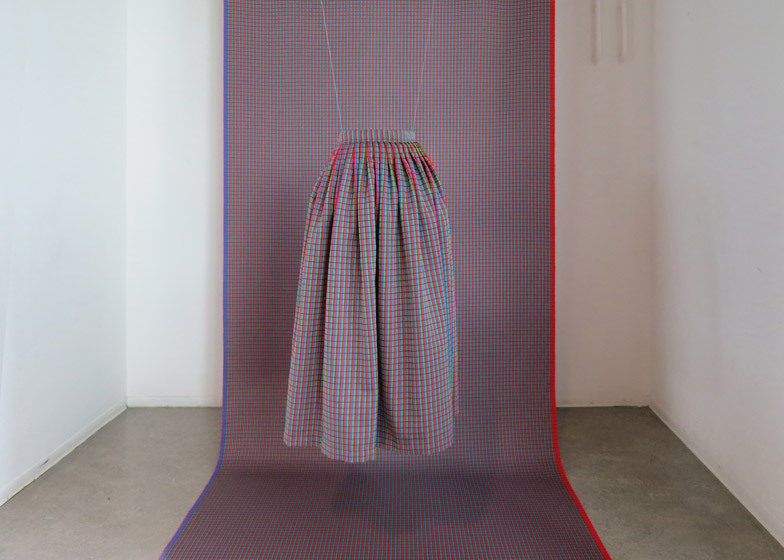 The designer used the textile to create a floor-length skirt, which was displayed in front of a length of the fabric at the exhibition during Dutch Design Week earlier this month. 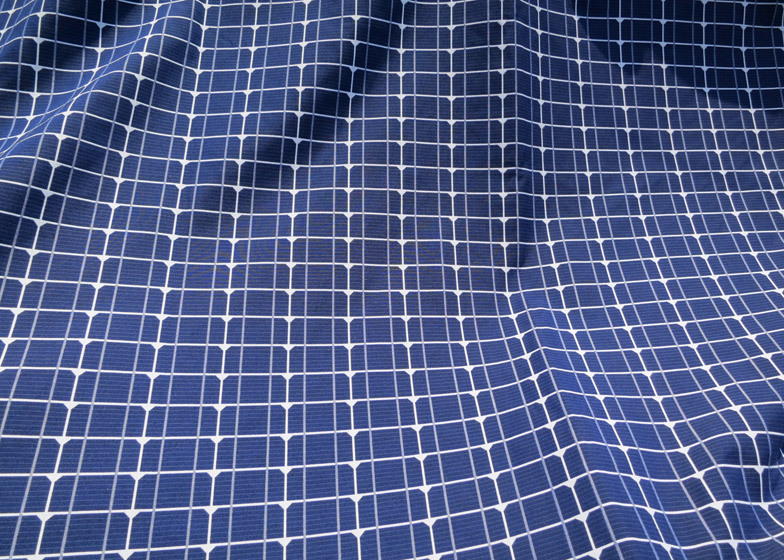 Polinder's other three textiles are woven to mimic the photovoltaic cells that cover solar panels, used to convert energy from the sun into electricity. Blue rectangles with chamfered corners are separated by a grid of white lines, further divided by thinner lines that vary across the three designs. 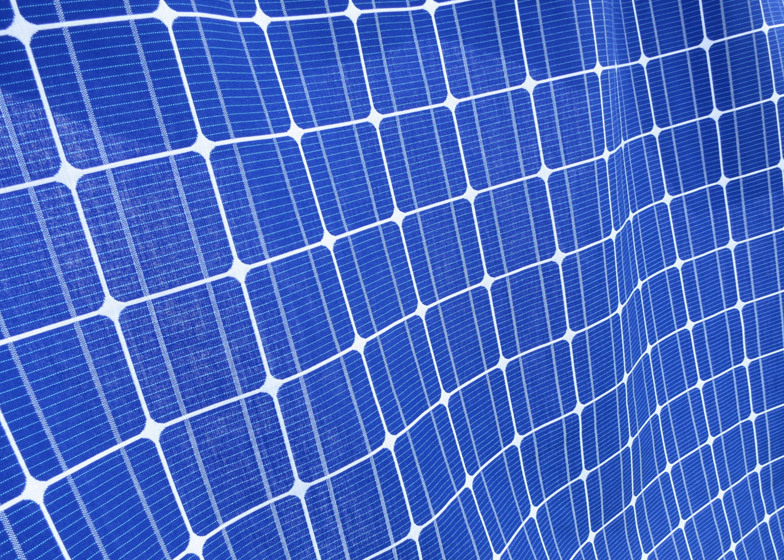 Photovoltaic cells are used in grids across large panels in order to generate enough energy to be useful, which Polinder demonstrates with the pattern. 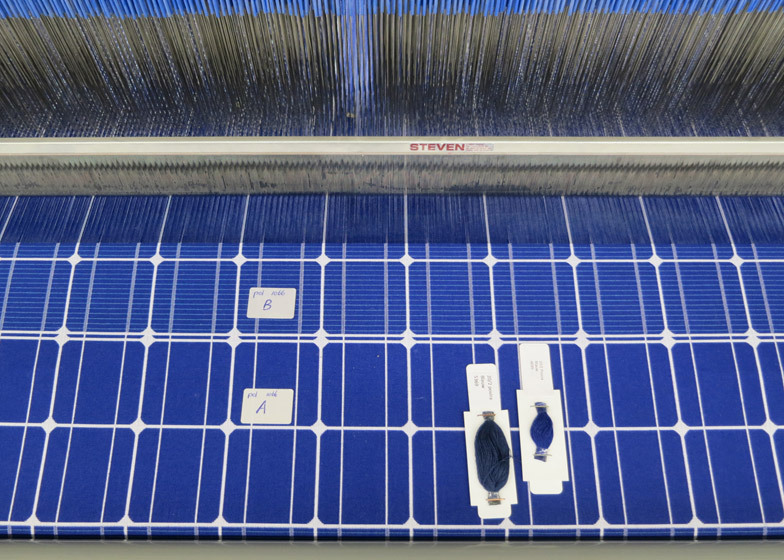 "The fabric LCD Cloth is woven in a satin binding which makes it relatively supple and suitable for curtains and the like," explained the designer. 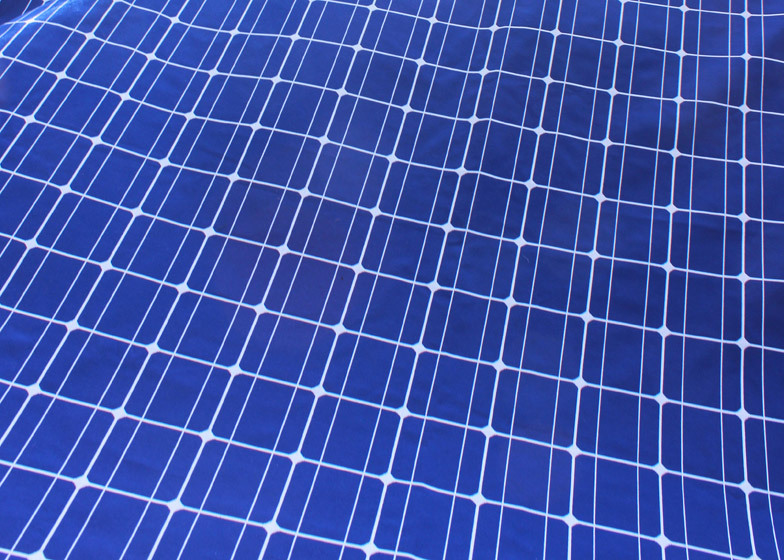 "The Solar Fabrics are double weaves in white and blues: sturdy, and more suitable for upholstery or bags." This year's Dutch Design Week, which concluded on 26 October, also saw the launch of an experimental fashion label producing laser-cut garments and included an exhibition of international graduate fashion designers using materials and silhouettes in innovative ways.